An interim environmental investigation report, about a slurry spill which occurred at the Ranger uranium mine in December, indicates there was no adverse environmental impact on human health or Kakadu National Park caused by the accident. The spill of sulphuric acid and uranium ore slurry occurred on December 7 2013 at 00:54, when Leach Tank 1 ruptured catastrophically due to wear in the rubber lining of the tank, forcing the shutdown of the entire site. Aproximately 1400 cubic metres of slurry was spilled within the processing plant area, with an unknown quantity of slurry reporting to Retention Pond 2. 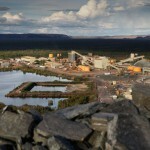 A joint Commonwealth/NT Government Taskforce, with representation from the Supervising Scientist, the Australian Government Department of Industry, Northern Territory Department of Mines and Energy, Northern Territory WorkSafe, Northern Land Council and the Gundjeihmi Aboriginal Corporation, was established to coordinate the various incident investigations. The supervising scientist was dispatched to conduct an investigation into the environmental imapcts of the leach tank failure, which included both onsite and offsite sampling and analysis of surface water, groundwater, radiation and soils. The interim environmental report stated that the radiation dose to workers involved in the cleanup activities was low and of no consequence to human health. No increase in airborne radionuclide concentrations as a result of the incident was detected at the Supervising Scientist monitoring stations in Jabiru town or at Jabiru East, which indicated no impact to residents in the surrounding area. The Supervising Scientist also commissioned Geoscience Australia to investigate the potential impacts to groundwater as a result of the spill. Sufficient information was available to conclude that only a small volume of contaminants may have entered the groundwater in the offsite environment. However, mine operator Energy Resources Australia has been instructed to provide the Ranger Minesite Technical Committee with an implementation plan that will address recommendations relating to groundwater monitoring, made in the Geoscience Australia report. The Geoscience Australia report recommends increasing the frequency and density of routine groundwater monitoring in both the plant area and the Corridor Creek region, investigating the role of geological structures in groundwater movement to the east of the plant area, ancontinue the development and maintenance of a spatial database of groundwater data for the Ranger uranium mine. A statement from parliamentary secretary for environment, senator Simon Birmingham, said the full report from the supervising scientist would be completed and released in August. “The Supervising Scientist has made detailed investigations into the potential avenues for environmental impact and taken extensive tests of air, soil and water in both the creeks and the ground around the mine site,” Birmingham said. 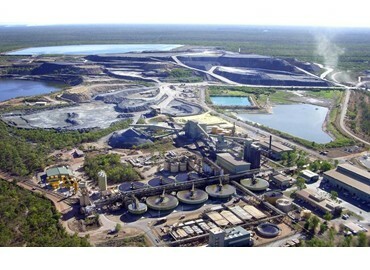 “No abnormal changes have been detected, which means that the environment and people of the Alligator Rivers Region, including Kakadu National Park remain protected from the potential effects of the Ranger uranium mine. 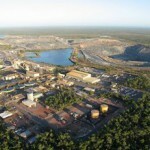 The cause of the leach tank failure, and issues related to the condition of the Ranger uranium mine processing facility remains the subject of ongoing investigations by the Northern Territory Department of Mines and Energy and Northern Territory WorkSafe.